My experience with MAC products has been a mix of hits and misses, but fortunately for me, I have learned to weed through online reviews and to swatch in store before actually buying anything. MAC matte2 eyeshadows get overwhelmingly positive reviews and turns out they live up to all the hype surrounding them. MAC doesn't seem to make very many eyeshadows in this finish, but the few that they do are definite must-haves. Case in point - Typographic. Described as an "asphalt black," this is an almost blackish grey - almost black yet quite clearly not :P It's just the sort of color the kohl-loving Indian me would love. 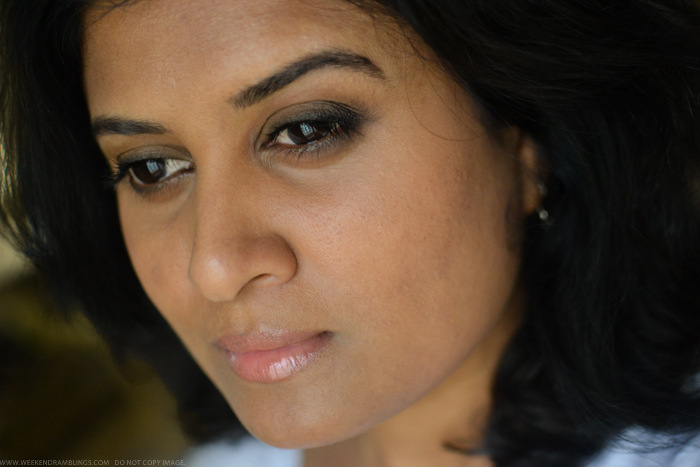 Works great as a crease color, liner, and of course, a good pick for a classic black smokey eye. 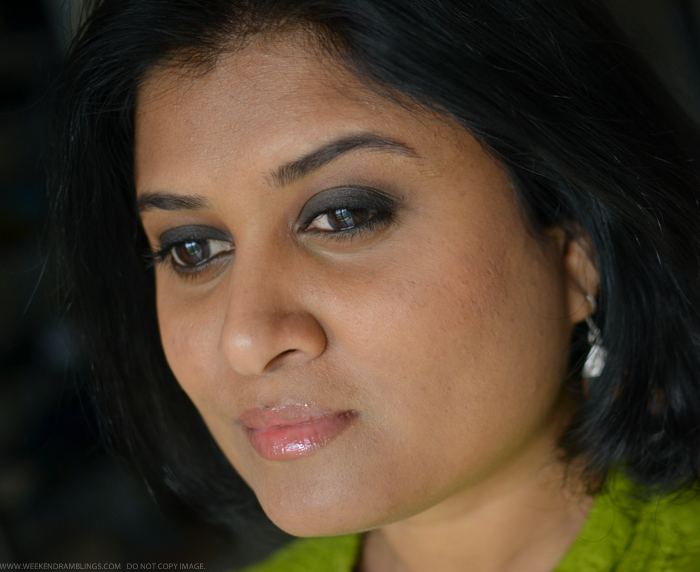 Wearing MAC Typographic as an all-over lid color and blended out with MAC Uninterrupted along the crease. 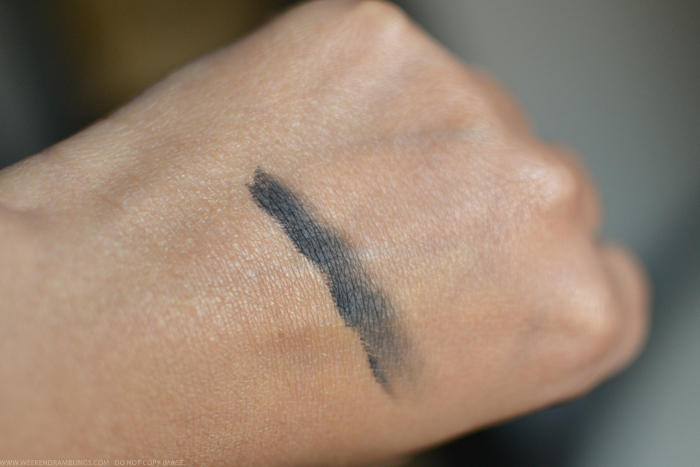 MAC Fluidline Blacktrack (which I absolutely hate) along waterline. Wearing MAC Uninterrupted all over lid and MAC Typographic blended along lashline and outer corner. 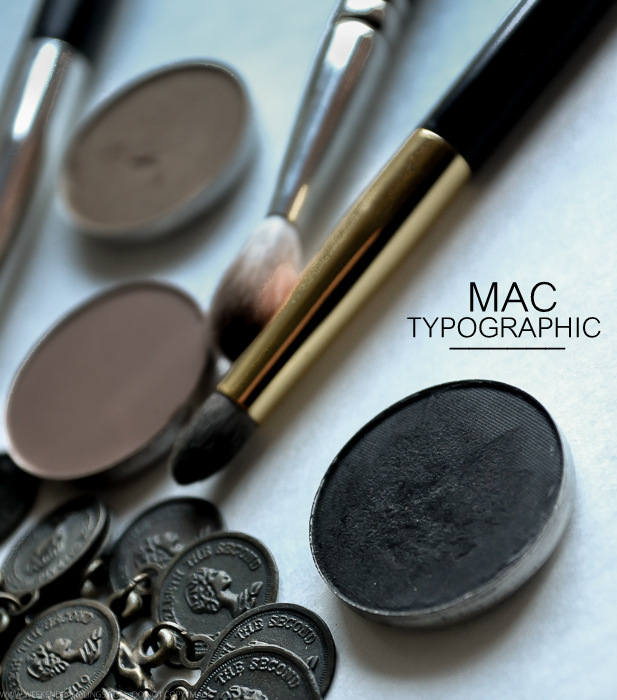 MAC Typgraphic is everything matte2 eyeshadows are touted to be - matte (of course! ), very pigmented, buttery smooth, and quite easy to blend. I prefer it to using a proper black eyeshadow as it gives a slightly softer effect. Plus if you like a darker smokey eye, using Typographic over the lid and a proper black eyeliner along the lashline does half the gradient work for you :P A few things to remember though with using Typographic: Because it is a darker color and has a softer texture, it's easy to get a little too much product on the brush. Tapping off excess from the brush before applying helps avoid fall-out. Another tip, use smaller amounts of the eyeshadow and blend it out, apply more, and build up the color rather than plopping a lot of the color and trying to blend it all out. Just makes life that much easier. All that would be applicable to any dark eyeshadow, though. Do give MAC Typographic a try the next time you are at a MAC store, especially if you love darker eye makeup as much as I do.